A little girl has got many people talking on social media after pictures of her emerged showing her fervently praying. 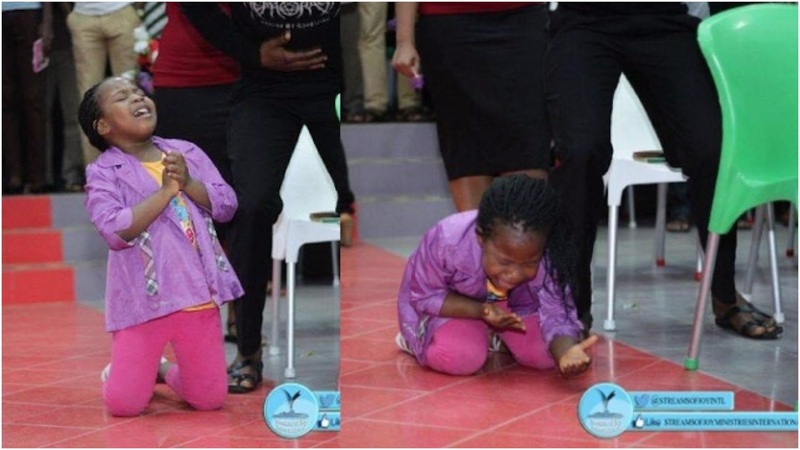 A Nigerian Pastor, Jerry Uchechukwu Eze, shared photos of his young daughter lost in deep worship while he was ministering in church. The photos have since gone viral on social media with a lot of positive feedback. Who said there is no God? This is a true manifestation of connecting with the father of all spirits! no age barrier, no discrimination, just worship him in spirit and in truth, He will show himself to you.